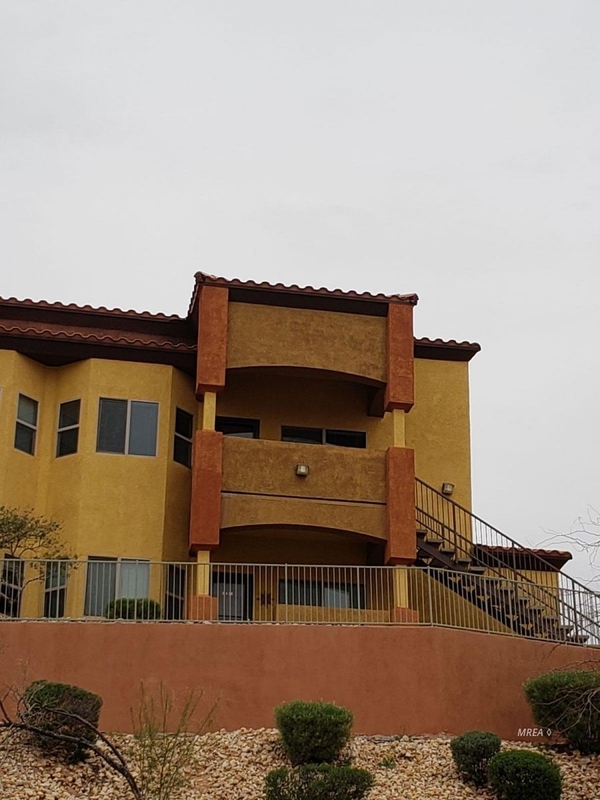 This 3 bedroom 2 bath Hawk Ridge condo has views of city and mountains, sit and watch the 4th of July fireworks from the comfort of your home or front porch. This unit is sold FULLY TURN KEY if you want to use it as a vacation rental. Tile floors in dinning, kitchen and baths, granite counter tops in kitchen with Stainless Steel appliances and walk-in closets in the master bedroom and bedroom 2. Unit comes with a good size storage closet for golf equipment or bikes. Comes with 1 covered parking right outside of unit. The complex offers spaces to park an RV/boat also.